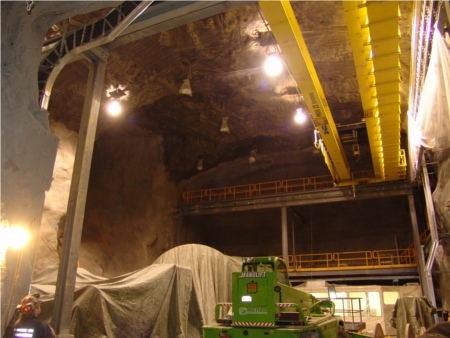 RockWeb has been used for the rehabilitation of cracked shotcrete in deep mines. Because of its tensile strength, RockWeb works like rebar, stretched across the surface of the shotcrete and increases concrete's ultimate compressive and residual strengths. In areas like electrical substations or around backfill piping where access with shotcrete equipment is limited, RockWeb makes access for rehab possible. With almost no rebound RockWeb is an obvious choice for repair work in areas where shotcrete would cause damage to infrastructure.